Amy was great. 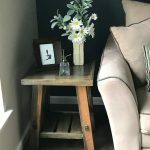 She came to my house and helped me design a table to fit my room. 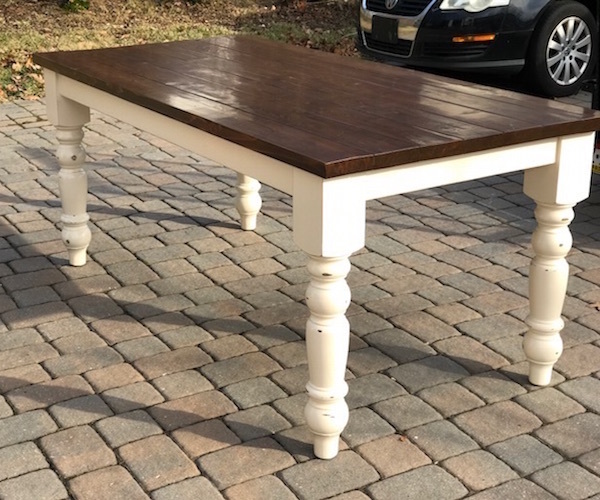 My table and two benches are unique and well crafted. I highly recommend her !!! 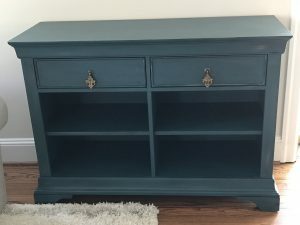 Amy exceeded my expectations finishing my furniture. She also finished it in such a timely manner. I will definitely be using her again! 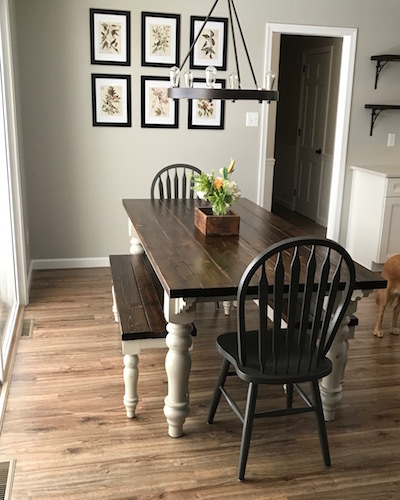 I cannot say enough about Amy and her creativity, not to mention her finished product. She listened intently to what I had in mind, upcycling 3 pieces for me. One piece involved gaining color inspiration from a painting I had in my home. 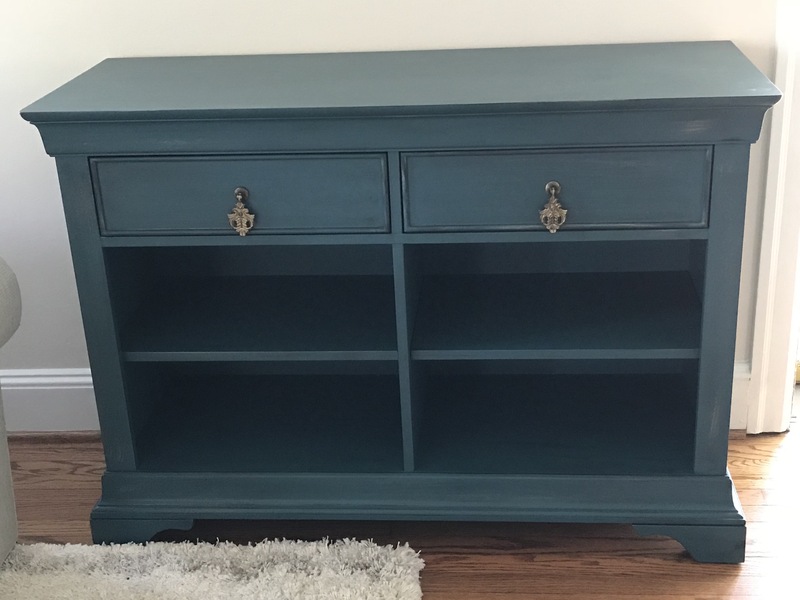 Amy chose the perfect shade of teal, added a tiny bit of black and also some gold and the small sideboard turned out BEAUTIFULLY. 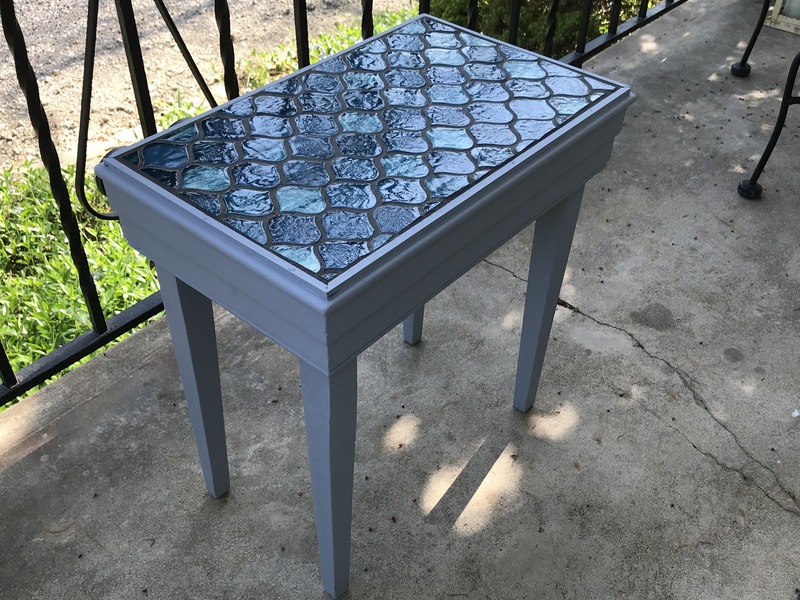 She also upcycled a side table, painting it black and then roughing it up a bit to match other furniture, and then on the way out of my house we both noticed a tiny table on my porch where the tile had come up and it was just a mess. 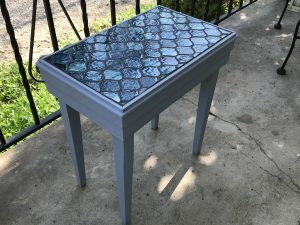 She re-tiled and painted it and it’s now a show-stopper on the porch. I highly recommend Amy, who came to me by way of designer Robyn Jewitt. Thank you Robyn! Thank you Amy! 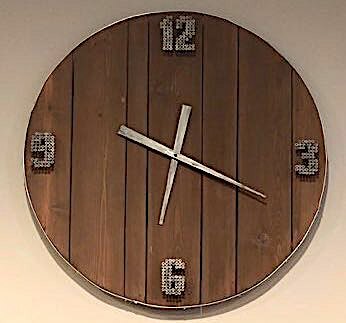 I recently asked Amy to create a clock for my basement. I gave her a general idea of the theme (industrial chic) and complete creative freedom. What she produced was fantastic! The clock has a “ship lap” backing with metal numbers of the clock made of tightly arranged screws…over 300 of them! It’s a real conversation piece when company comes over and is a wonderful compliment to my finished basement! Amy recently completed working on a couple different pieces for me. 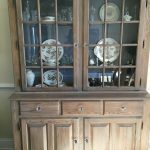 One was an old hutch top that is very special to me. It came from the house I grew up in. Amy did exactly what I requested to update it and it looks AMAZING! Everything she worked on looks so good in my home. I highly recommend Amy. She is very friendly, patient and so easy to work with. Thank you Amy! **SUCH A WONDERFUL EXPERIENCE FROM START TO FINISH! 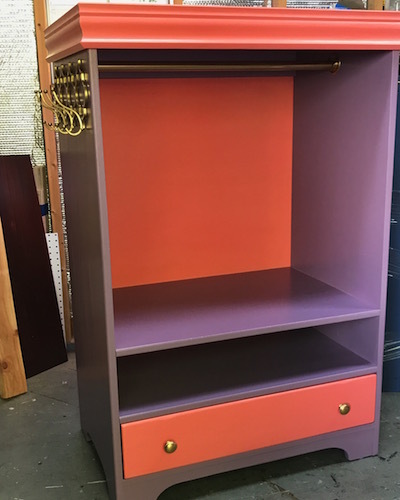 ** Amy created a beautiful dress-up armoire for my daughter’s princess dresses. 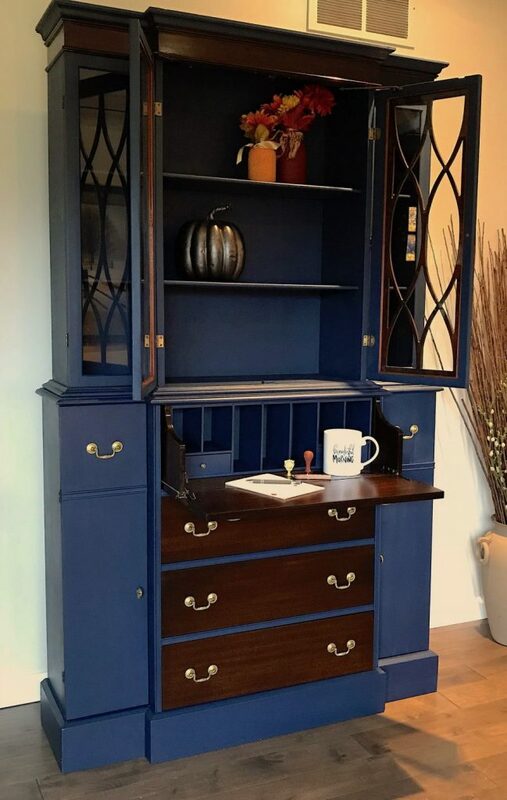 From the colors, to the fine details and finishes, she was beyond creative with impeccable taste…. and the result is stunning! 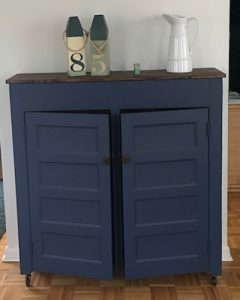 Also, her wonderful husband delivered the finished product, and helped my husband hide it upstairs so Santa could bring it. Worth every penny and would work with Amy time and time again! Amy is a delight to work with! 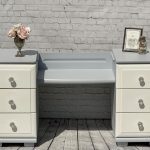 She can bring to life any old furniture you have laying around. She has created beautiful pieces that we will cherish for many years. Couldn’t be happier!